Like most metal workers, I have a love-hate relationship with steel. It is heavy, dirty and loud to work with. Welding involves all kinds of hazards and assaults to the body: burns, cuts, and metal slivers, the fumes of welding and the dust from the resin-bonded grinding disc. I have tinnitus from years of grinding metal and a piece of titanium in my wrist, surgically implanted after a drilling accident. In the winter, my shop is freezing and it’s a constant battle between turning the fan on or conserving what heat there is. 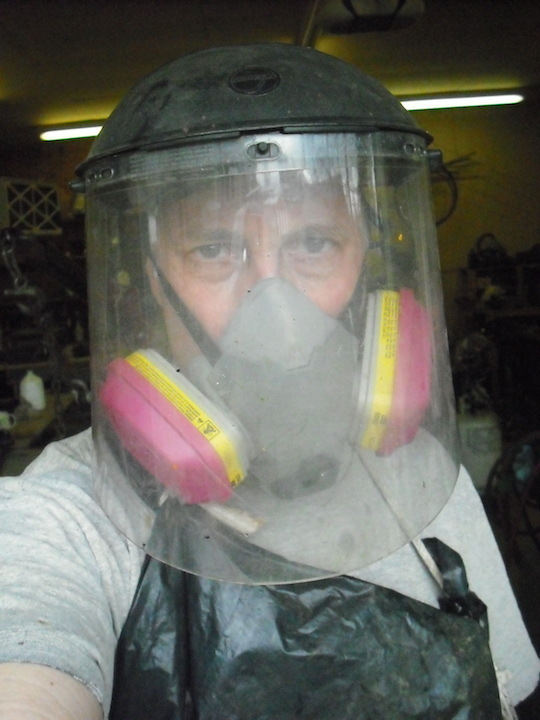 Oh, yes, I wear safety gear—when I can stand it: safety glasses, ear protectors, welding helmet, face shield, respirator and an assortment of gloves. It’s a constant on-off-on-off and not everything is compatible; hearing protectors don’t fit under a welding helmet, respirators fog up the safety glasses, and gloves make certain fine task impossible. None of it is comfortable. So, at times, I hate what I love. 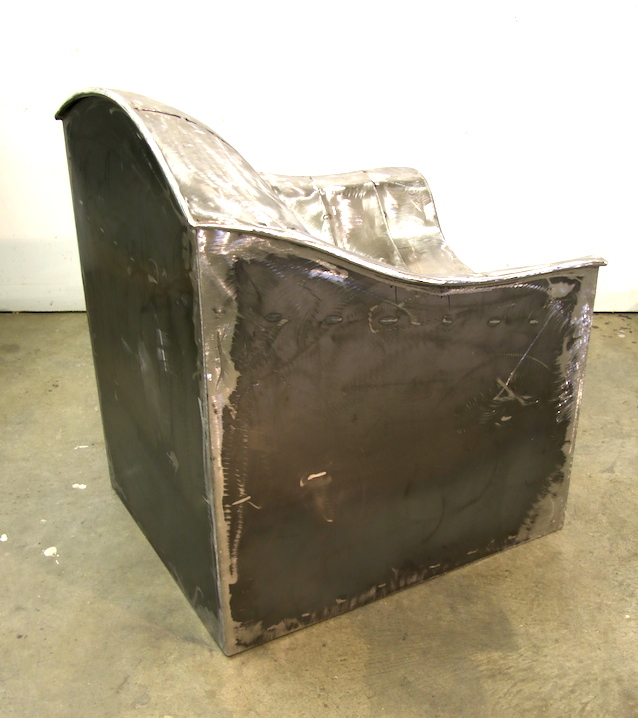 Like yesterday when my task was to clean the mill scale off of a 1,000 pounds of mild steel for a new sculpture in my Landforms series. Mill scale is a hard, black crust on the steel that comes from the heating and cooling of the production process. 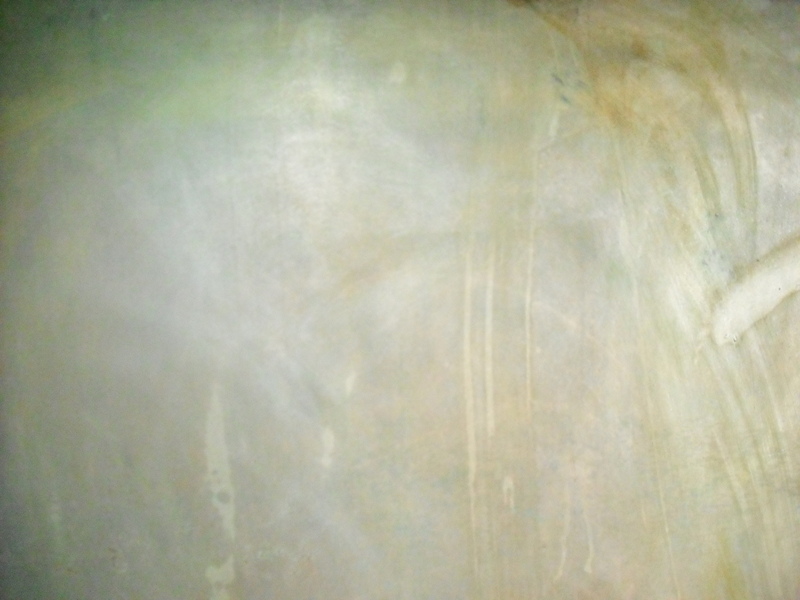 It actually protects it for a while but is a poor surface to paint over and, thus has to be removed. 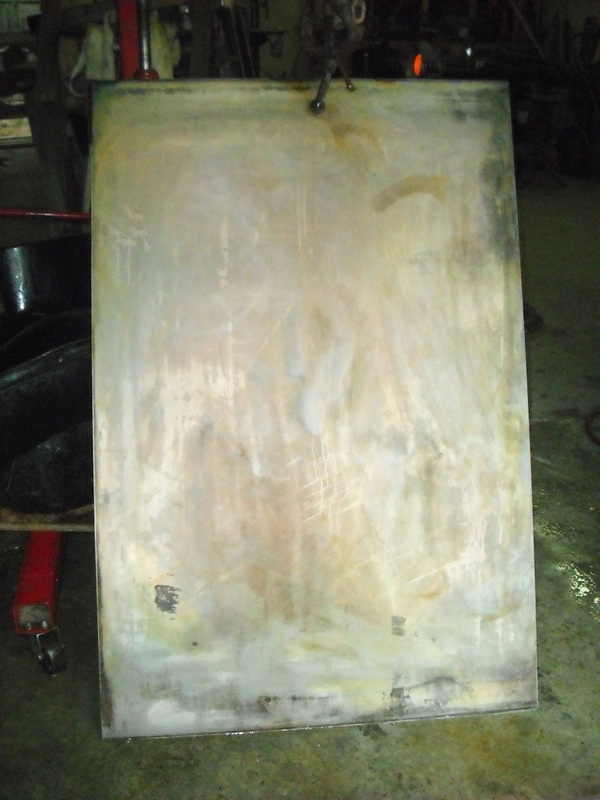 It is so hard that it resists sanding and it has to be sand blasted or removed with acid. I don’t have a blasting set-up so I am stuck the latter. Steel is a poorly understood material. Everyone knows it is hard and strong but what they probably don’t know is that its strength comes from its malleability. It bends before it breaks and it can easily be persuaded to take on new forms. The most misunderstood aspect is the oxidation process. Oxidation, like combustion, is the combination of oxygen with the fuel material, in this case iron. Usually it is slow, but with enough heat and a jet of oxygen, the steel actually burns—which is how torch cutting works. So, while steel is strong and versatile, it also has this transient quality; when metal work leaves the shop, the goal is to have some permanent coating on it so that it doesn’t rust away, but, left alone, it will go through an organic transformation with moments of beauty so fleeting that few of us get to fully appreciate it. 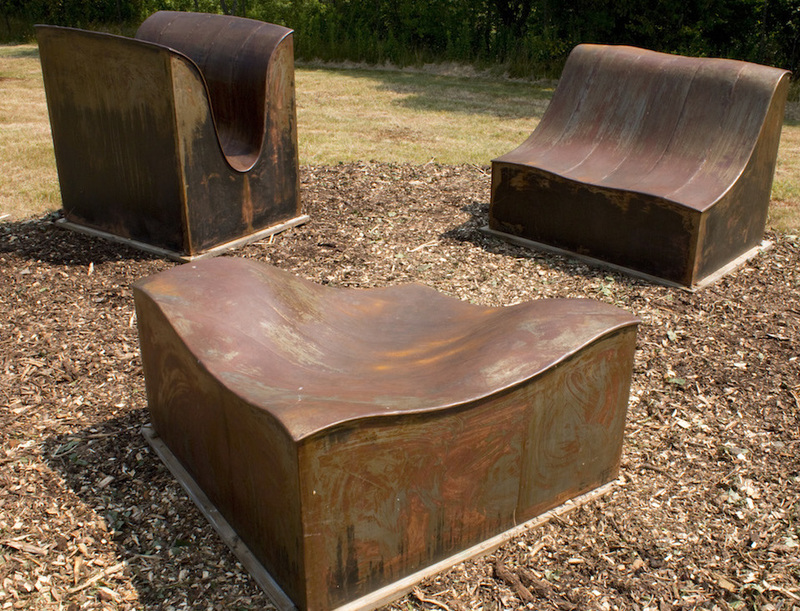 One of my Landforms sculpture groupings with a slowly rusting waxed surface. To remove the mill scale I wash it with acid (a process that involves a kiddy-pool). 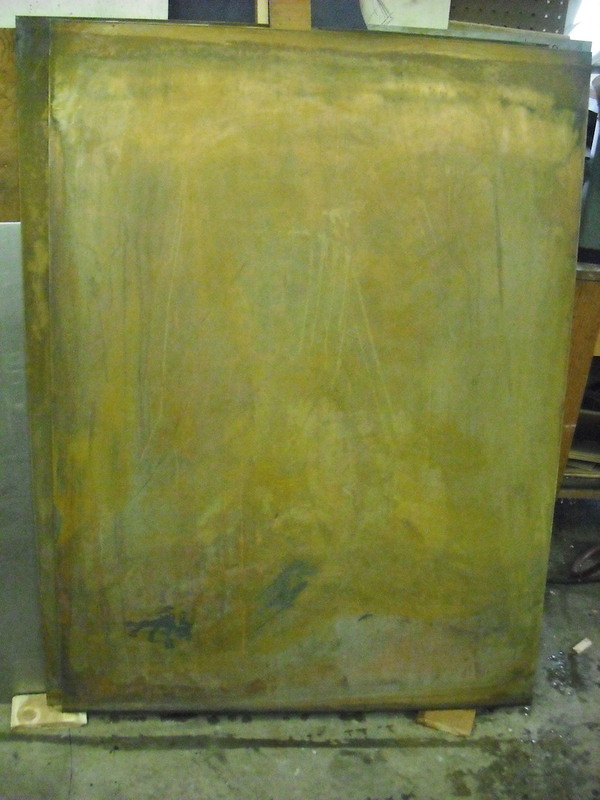 In doing so I expose the soft underbelly of the plates and get to witness this instant transformation of the patina. 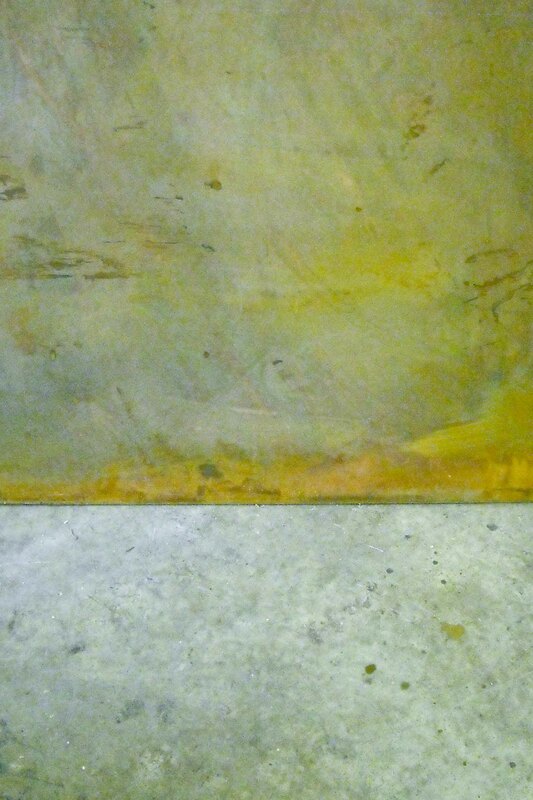 There are subtle greens, magentas and yellows, like a color-field painting. Once I rinse the metal, it instantly starts to burn with soft orange haze of rust. It is hard to describe and harder to photograph. It is at this point that I wish I could hold it, but I can’t. Sometimes I try by using a wax finish, but for outdoor works in public display, a slowly rusting finish just doesn’t fly. People want control and permanence. They expect steel to hold fast against the elements and for surface to be predictable. They will never see the soft, delicate, fleeting surface of the steel that I love.